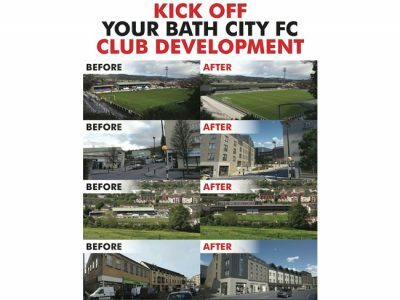 Bath City will soon submit its planning application for a revitalised Twerton Park and your help is vital to securing planning permission. Please register your details now so that we can contact you to ask for positive comments on the online planning application and also to maybe write to your councillor. 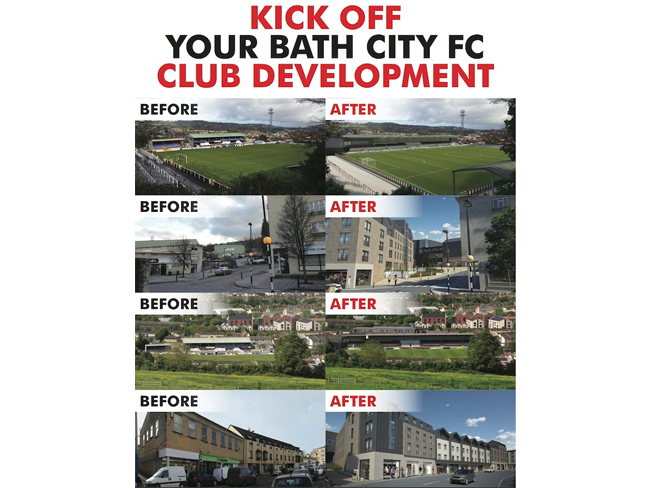 Don’t worry if you don’t hear from us for a little while, as the planning process will be slowed a little by the council elections in May. But do look out for Club news on the website and social media.